National law firm Irwin Mitchell is teaming to with children’s charity KIDS to encourage people to pick up their pens to enter a writing competition to share their experience of disability. Both Irwin Mitchell and KIDS work on a daily basis with families whose lives are affected by disability and the aim of the competition is to encourage both disabled and non-disabled children and adults to share their personal experiences by telling stories. The competition is being launched on World Book Day (6 March 2014) and the organisers hope it will inspire others and highlight the support on offer. KIDS was established nationally in 1970 by John Mulcahy, a teacher who was concerned about the development of a disabled child in one of his classes. John went on to set up KIDS to encourage parents, carers and schools to work together to enable disabled children and young people to develop their skills and abilities and to fulfill their potential, hopes and aspirations. Stuart Henderson, Managing Partner of Personal Injury law at Irwin Mitchell, said: “We are thrilled to be a part of this project and to be supporting KIDS to launch this competition. “KIDS is such a fantastic organisation and we would like to continue to support them in any way we can. This competition is a brilliant way for young people and carers to share their experiences, show support to those in the same position and to inspire others. The charity works with children and young people from birth to the age of 25 who are disabled; that is they have a physical, sensory or mental health issues with interaction in social, attitudinal and environmental constraints creates barriers which hinder their full and equal participation in society. Caroline Stevens, Chief Executive at KIDS, said: “We are looking forward to launching the writing competition and seeing the stories and poems from the entrants sharing their positive experiences. “We are encouraging both disabled and non-disabled children and adults to share their personal experiences of disability, or of living with or caring for a disabled person. The winning entry will be chosen by a judging panel and prizes include a Kindle Fire and also a £50 book voucher. The closing date for the competition is 30 April 2014. 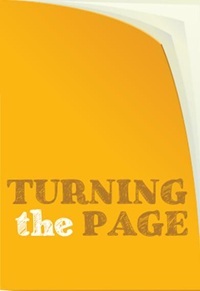 Stories or poems can be submitted online at www.irwinmitchell.com/turningthepage or via Facebook at www.facebook.com/irwinmitchellsolicitors. Be the first to comment on "Irwin Mitchell Teams Up With Children’s Charity To Launch Writing Competition"